Inside Out Thought Bubbles - From the creators of Frozen Free Fall and Where’s My Water?, Disney Games brings you this one-of-a-kind bubble-shooter based on the newest Disney•Pixar film, Inside Out! Growing up can be a bumpy road, and it’s no exception for Riley. Like all of us, Riley is guided by her Emotions — Joy, Fear, Anger, Disgust and Sadness. The Emotions live in Headquarters, the control center inside Riley’s mind, where they help advise her through everyday life. Join Riley's Emotions on a journey to match and sort memory bubbles, as you travel through unique locations inspired by the film — Family Island, Dream Productions, Boy Band Island, Imagination Land and more. Play this bubble shooter that twists the puzzle genre inside out! • UNLEASH POWER-UPS unique to each Emotion - Create a sunburst with Joy, let the rain pour with Sadness, light a fireball with Anger, repel matching memories with Disgust, and enjoy the frantic fun with Fear! • CONNECT to Facebook to save your progress across devices, gift and receive free lives, and see you how you stack up against your friends! • OVERCOME obstacles like Brain Freezes and jump ahead using boosters like Brain Storms! • IMMERSE yourself in the world of the film through stunning 3D animation and gameplay featuring voice actors from the film! • As well as advertising for The Walt Disney Family of Companies. 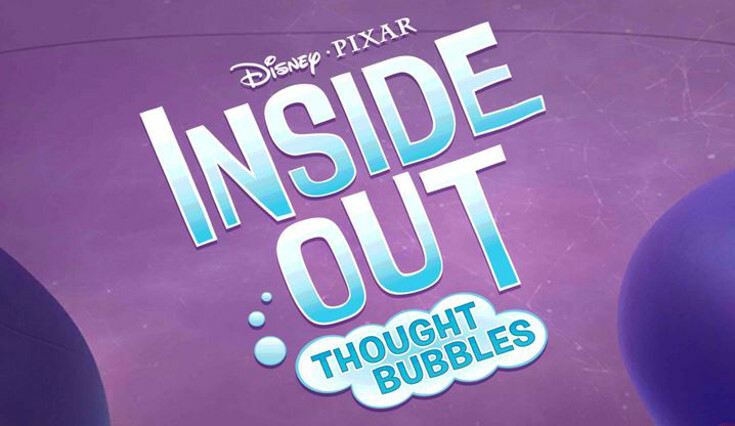 Inside Out Thought Bubbles: install APK and play the game!